Get your advertising message directly into the shops who are building, rebuilding and installing engines professionally by advertising in Engine Professional magazine. 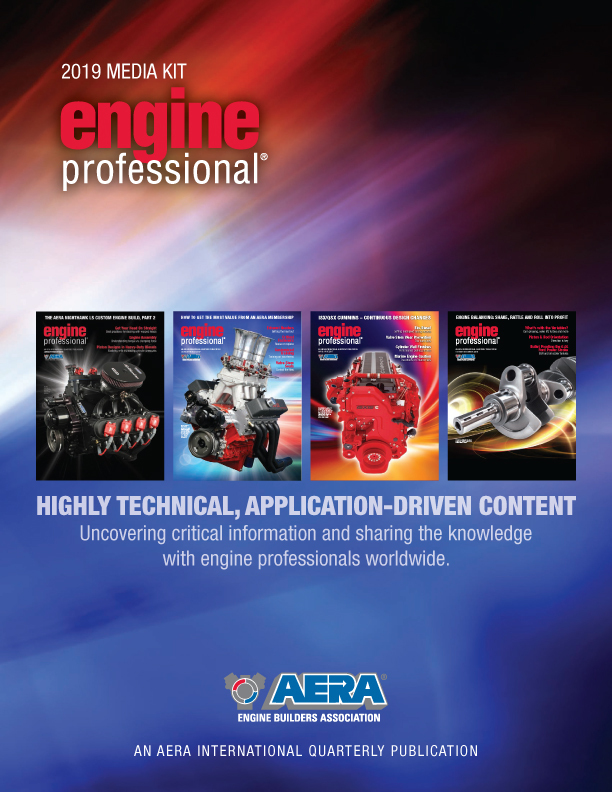 Engine professionals worldwide will receive this full-color publication four times per year. Each issue will be filled with highly technical and application-driven articles from our staff of writers, as well as feature contributions from industry professionals. Over 14,000 copies of each issue of Engine Professional will be sent out directly to an audited list of engine professionals comprised of engine builders; custom rebuilders; production rebuilders; heavy-duty, marine, industrial, motorcycle, Nascar, NHRA and sprint car shops. For ad payment, circulation and membership information, please call AERA toll-free 888-326-2372 or 815-526-7600. © AERA Engine Builders Association. All rights reserved.